Ricky Opaterny has worked variously as a literary agent, book designer, journalist, editor, and producer. He is currently working on a novel about four friends from San Francisco, one of whom is compelled by his wife’s death to live his life in reverse. 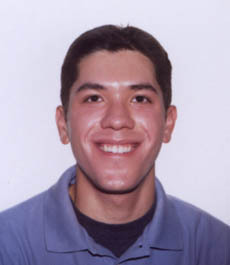 Ricky attended attended UC Berkeley, where he studied modern American literature as a Regents Scholar, and NYU’s Stern School of Business, where he was an InSITE Fellow. His work has recently appeared in Eat Me, the New York Times, U.25, and the book Surviving Justice: America’s Wrongfully Convicted and Exonerated. Ricky previously worked for Google, an Internet search engine company, where he was the executive producer of Google’s series of conversations, lectures, and concerts called @Google. While at Google, he also launched the company’s initiative to provide free online advertising and education in online marketing to businesses in the developing world. He is currently the program manager at TuneIn, where he manages an editorial team and messes around with SQL. He is also a founding board member of Twenty Summers, an art-type concern on Cape Cod. Here is an old passport photo of Ricky. Here is an article about what this blog did in the summer of 2005 to save Kepler’s Books in Menlo Park, California. Here is an article about what he did from 2005-2008. Email him if you have any further questions. This is Ricky’s personal blog. The views expressed on these pages are his alone and not those of his employer.